The print is based on the Chinese new year of 2018, it stands in the star sign of the dog, in combination with the earth. 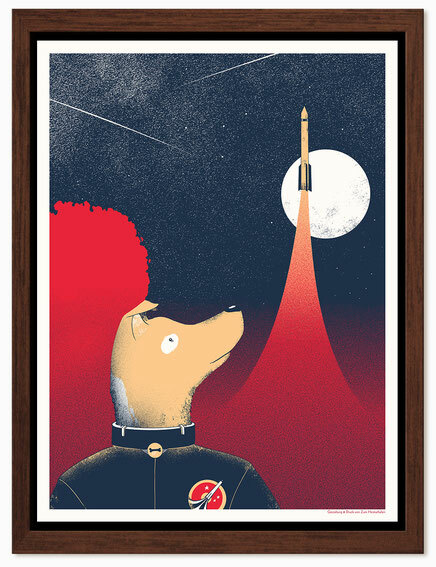 This correlation evoked one of my earliest childhood memories, the story of the dog Laika which was shot into space in 1957. 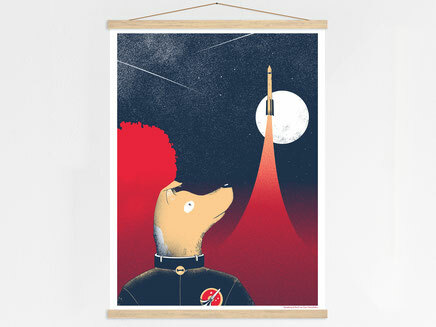 As a child I imagined a heroic dog in her little space suit, that is entering the space ship to report about the cosmos to mankind. A wonderful picture how humans and animals work together. It’s a 3 colour print, pulled by hand in a studio in Hamburg on 250gsm smooth Metapaper paper, FSC certified.